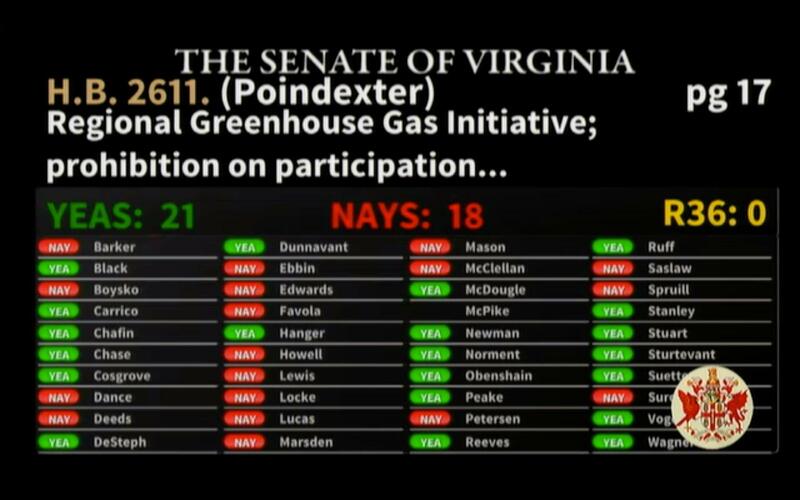 Ask lawmakers here at the Capitol whether Virginia should join the Regional Greenhouse Gas Initiative, and you’re likely to get a partisan response. Republicans do not want join the multi-state effort to cap carbon-dioxide emissions. Democrats do. The legislation passed on a party line vote. The bill to prohibit the governor from joining the initiative without consent of the General Assembly has now passed both the House and Senate. That means it’s on the way to the governor’s desk, where it’s likely to be vetoed. Should Virginia work with neighboring states to combat climate change? Lawmakers are divided. And, it’s a partisan disagreement. President Trump’s new proposal to replace the Obama-era Clean Power Plan has sparked a debate in the Commonwealth about the state’s energy future.